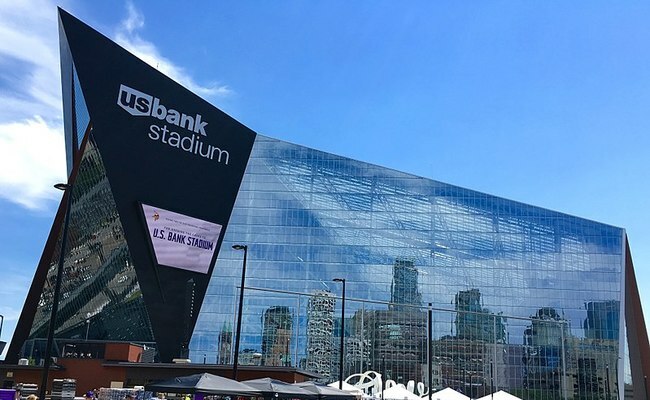 While the Minnesota Vikings weren’t this year’s NFC champions, the city of Minneapolis — and the surrounding area – is already feeling the impact of Super Bowl LII. And as always, the poor stand to experience the most harm. Although the big game is more than a week away, streets surrounding the brand new U.S. Bank Stadium are closed, forcing those who live and work downtown to find alternative routes. That adds extra drive time for everyone, but the road closure makes it especially difficult for patients to reach Hennepin County Medical Center (HCMC), the biggest hospital in Minnesota — and the one that sees the most uninsured and patients in poverty. Meanwhile, HCMC is already expecting a 10 percent increase in visits in the week leading up to and including the massive event. HCMC staff are moving some operations off site, but officials are telling anyone who might need hospital services to prepare for longer travel time, especially as ambulances attempt to navigate closures. Minnesota winters are known for their dangerous sub-zero chills, and the city’s homeless are the most vulnerable to the cold. While the city works diligently to get as many people as possible inside and away from the frigid temps, a multi-week long “security perimeter” around the stadium has made the effort more difficult. Of course, there would be less of a “security concern” if Minnesota did more to address the physical, financial and mental health issues of that population before a major sporting event, rather than relying on the “Super Bowl Host Committee” to throw money at the city for a stop-gap like a temporary shelter. Then, there’s the issue of what happens when the shelters, too, are taken away. One solution that has helped keep the homeless off the street in the winter has been to offer hotel vouchers, providing a warm room and bed on the worst of nights. That doesn’t work, however, when every hotel in the Twin Cities is booked at premium rates for Super Bowl fans. Churches willing to step in have been a big help for the St. Paul School district. Homeless students in the district often stayed in hotels with their parents in order to ensure they could access school each day, but the Super Bowl bookings made that impossible. The schools organized a fundraiser to try to keep one open all day and night for the entirety of the Super Bowl week, providing meals, security and janitorial services so that families wouldn’t have to stay in cars or on the streets. The cost would have been $25,000, but Ramsey county found additional shelter rooms for all of the families. An average Super Bowl ticket costs $2,500. A hotel room in even a nearby suburb is $500 a night. But the highest price for the Super Bowl will definitely be paid by Minnesota’s sick, poor and displaced. The Super Bowl committee should allocate funds from their huge takings to make permanent accommodation for the homeless.